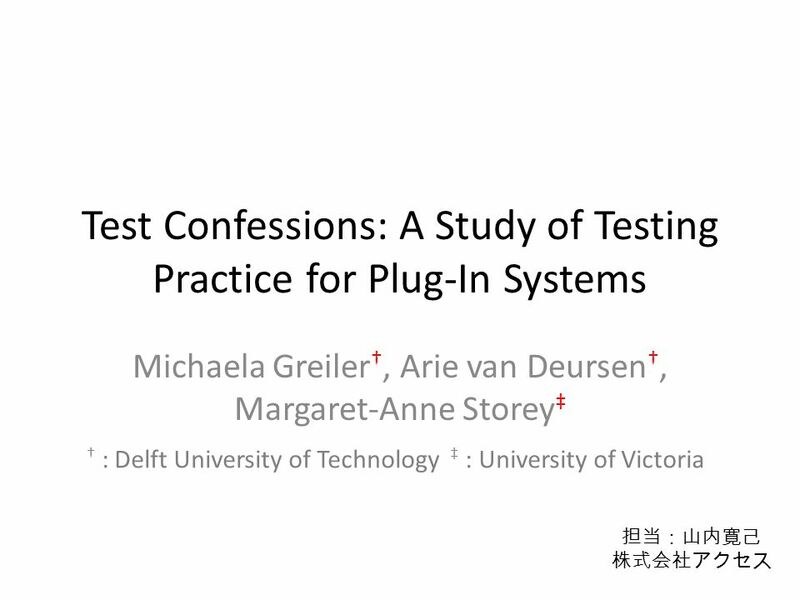 Test Confessions: A Study of Testing Practice for Plug-In Systems Michaela Greiler †, Arie van Deursen †, Margaret-Anne Storey ‡ † : Delft University of. 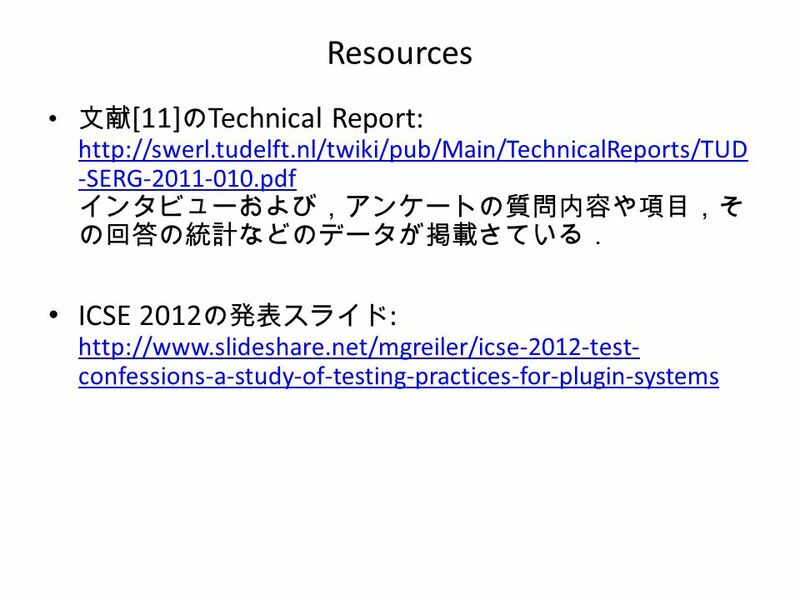 Download ppt "Test Confessions: A Study of Testing Practice for Plug-In Systems Michaela Greiler †, Arie van Deursen †, Margaret-Anne Storey ‡ † : Delft University of." 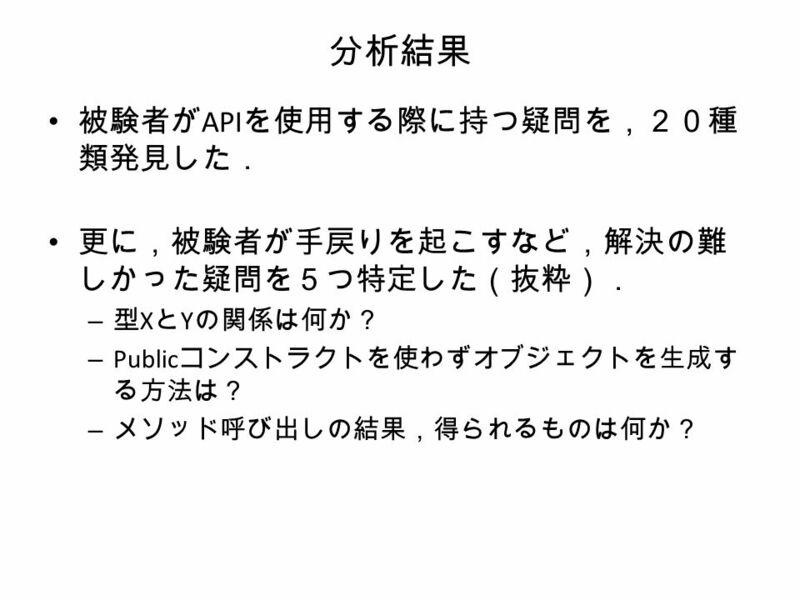 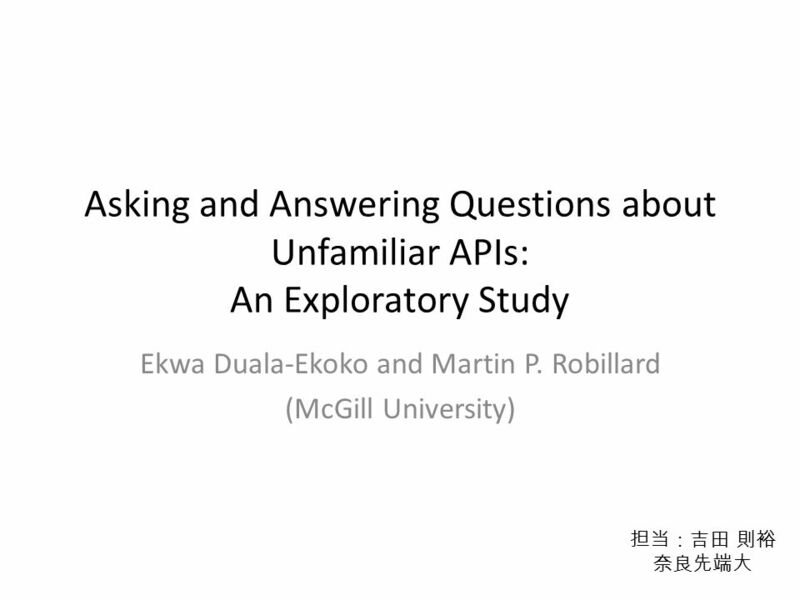 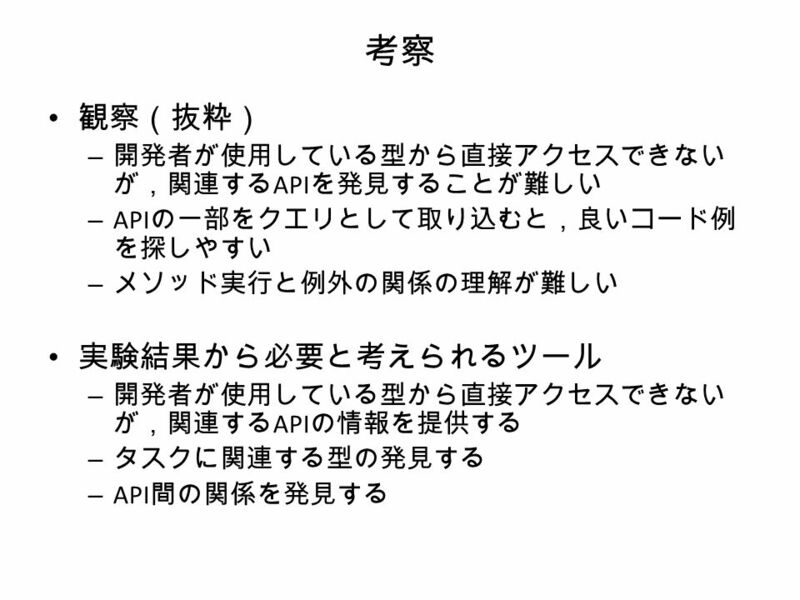 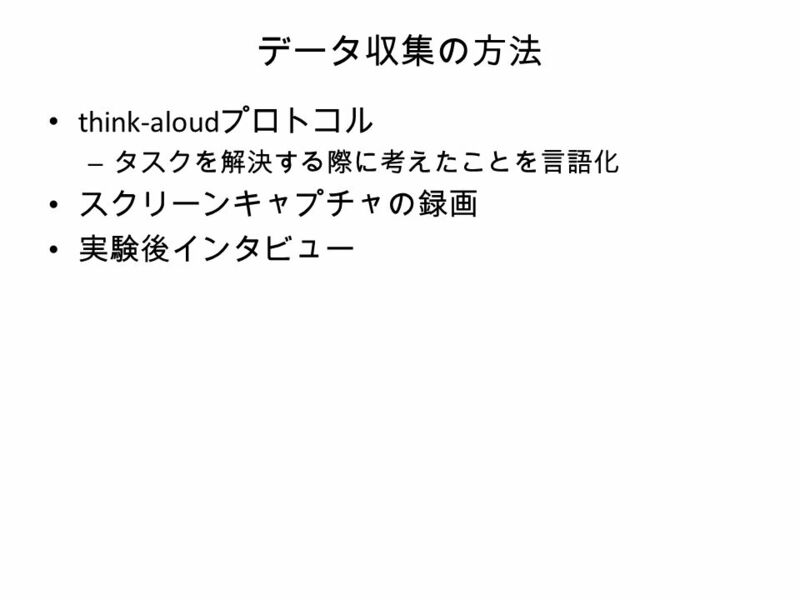 API 呼び出し列の差分を利用した Android アプリケーション比較ツールの 試作 井上研究室 神田 哲也. 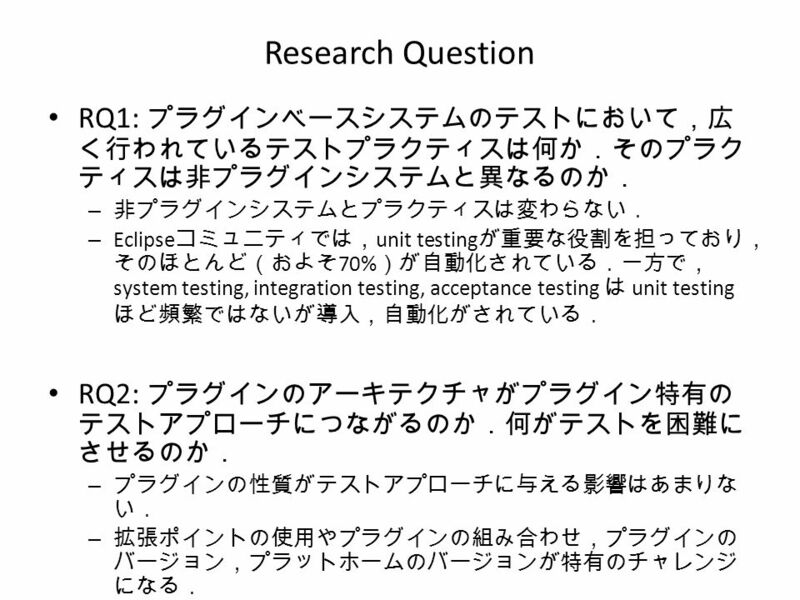 Software Engineering Laboratory, Department of Computer Science, Graduate School of Information Science and Technology, Osaka University 1 ソフトウェア部品推薦のための. 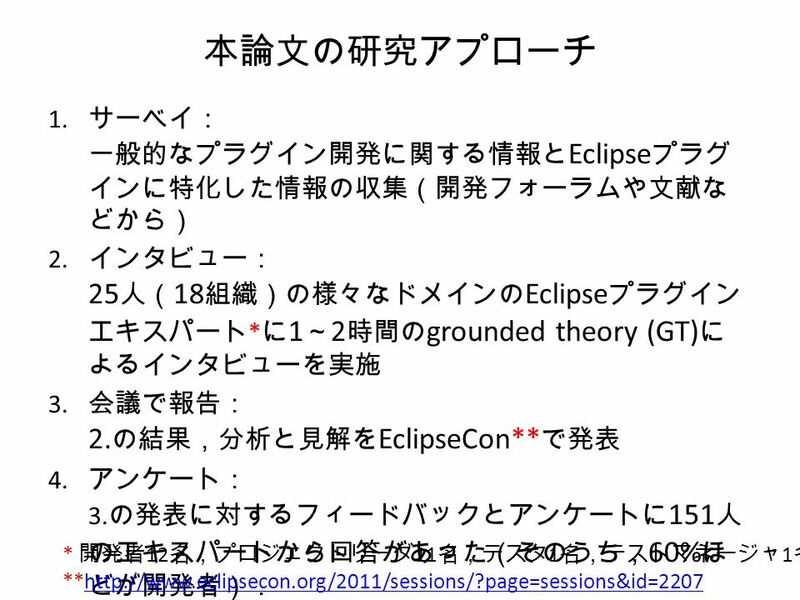 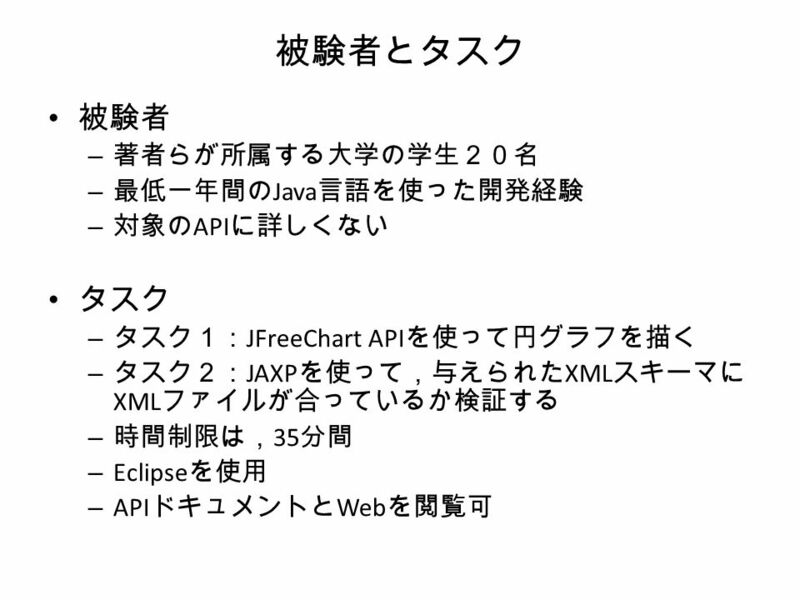 1 EASE プロジェクトにおける EPM （ Empirical Project Monitor) を用いたプロジェクト管理デモ 奈良先端科学技術大学院大学 産学官連携研究員 松村 知子 2005 年 9 月 30 日 JISA 経営者セミナー. 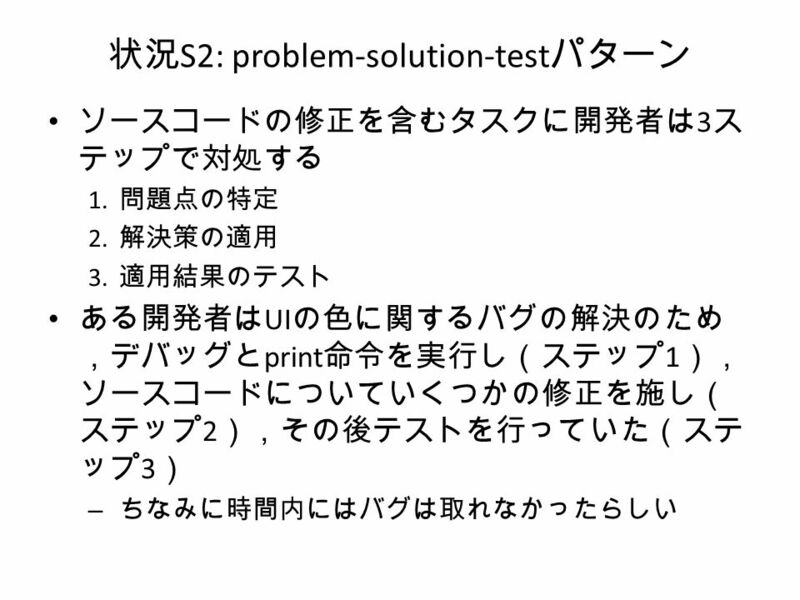 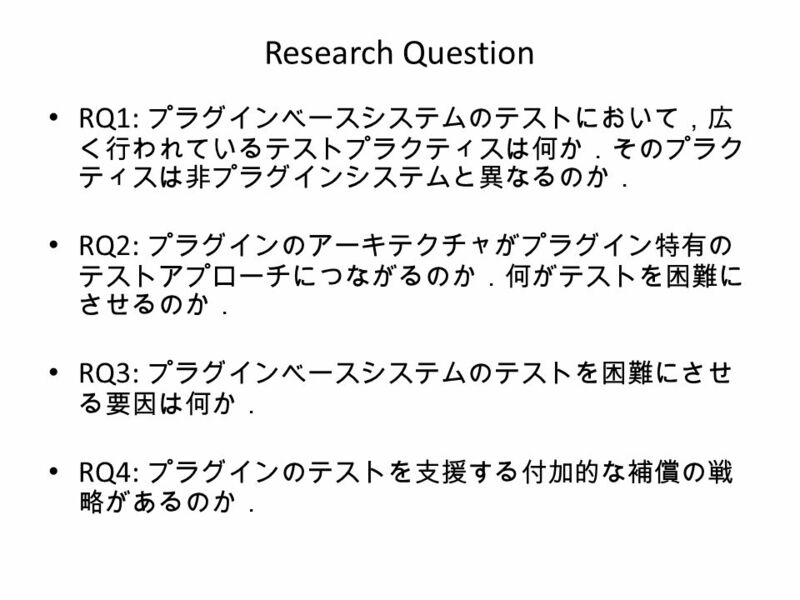 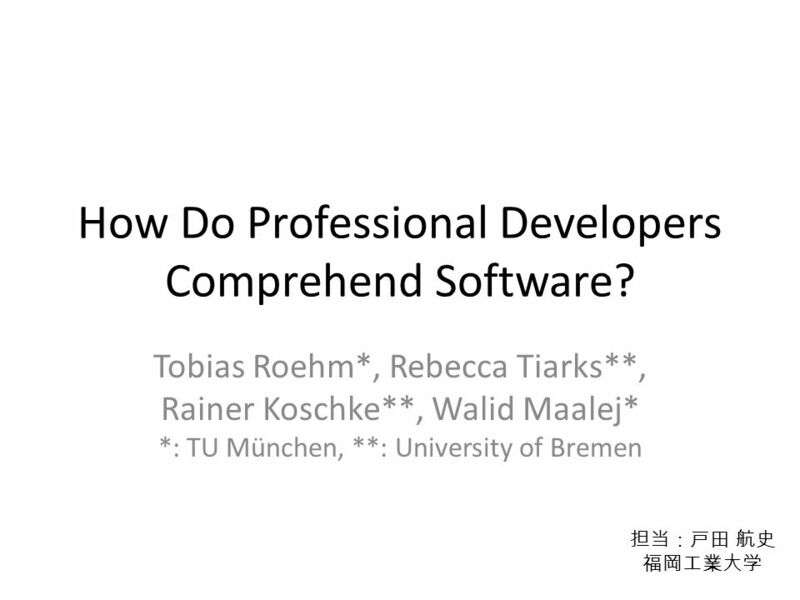 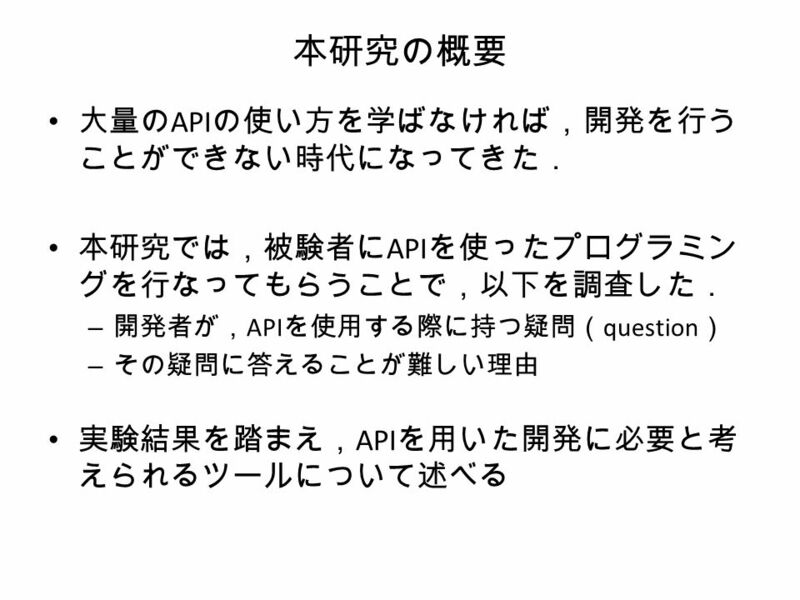 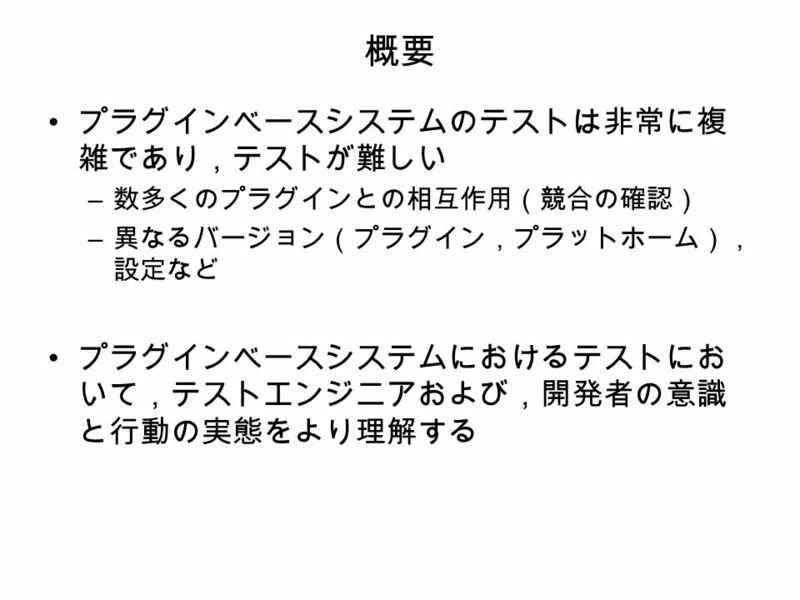 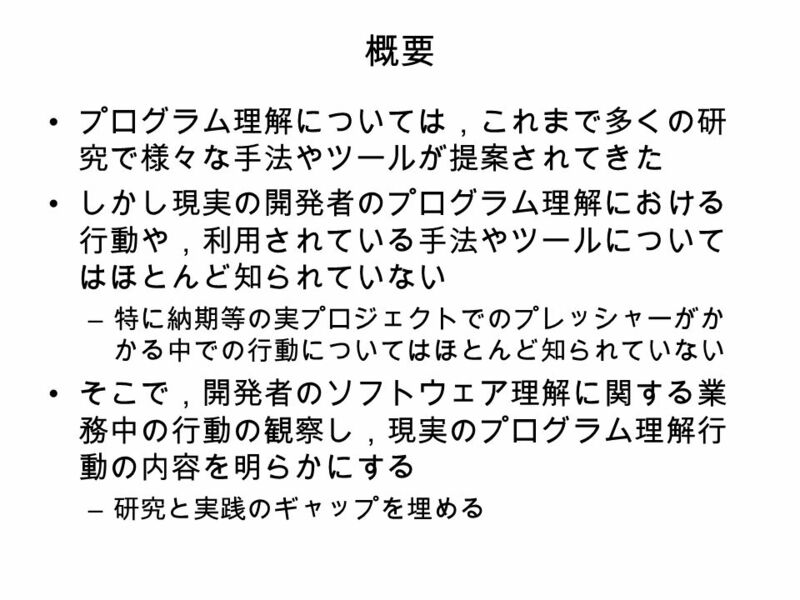 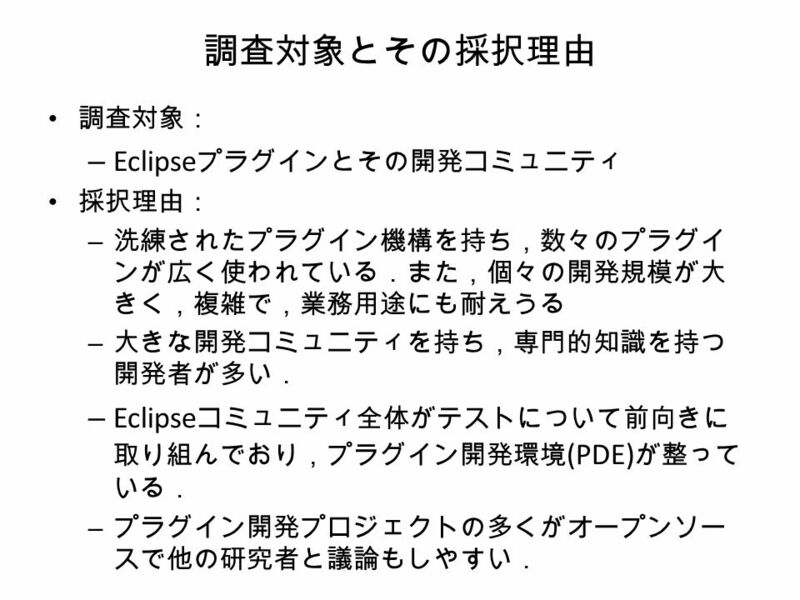 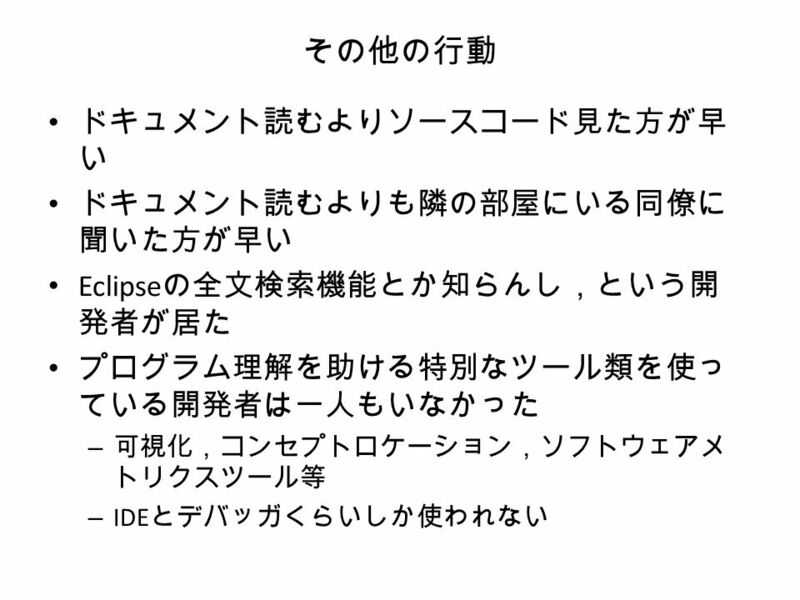 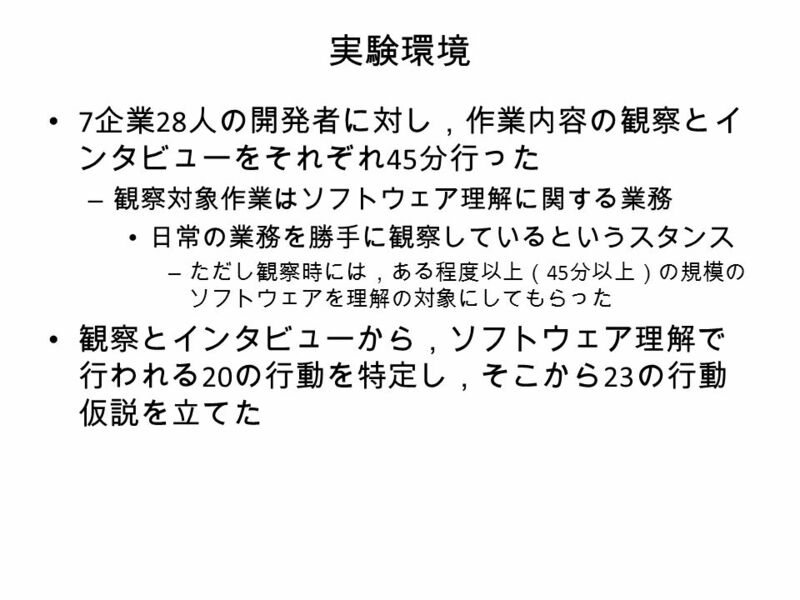 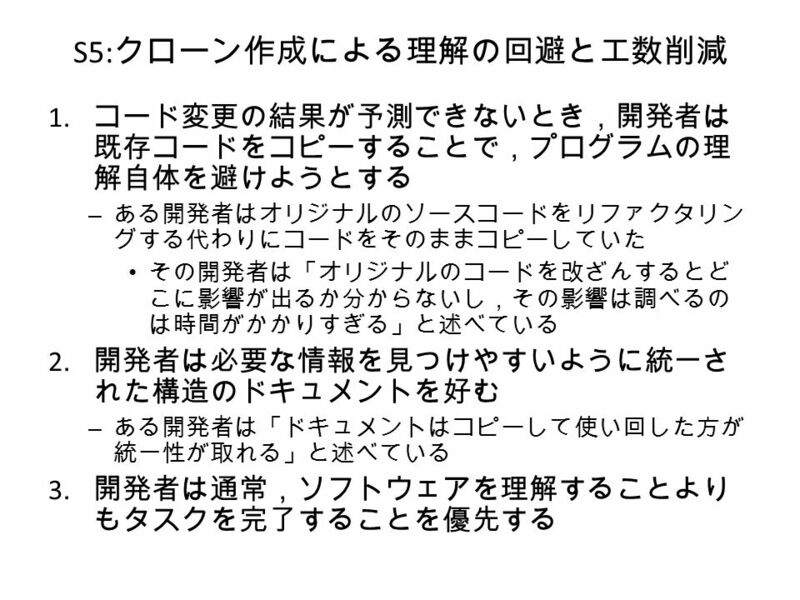 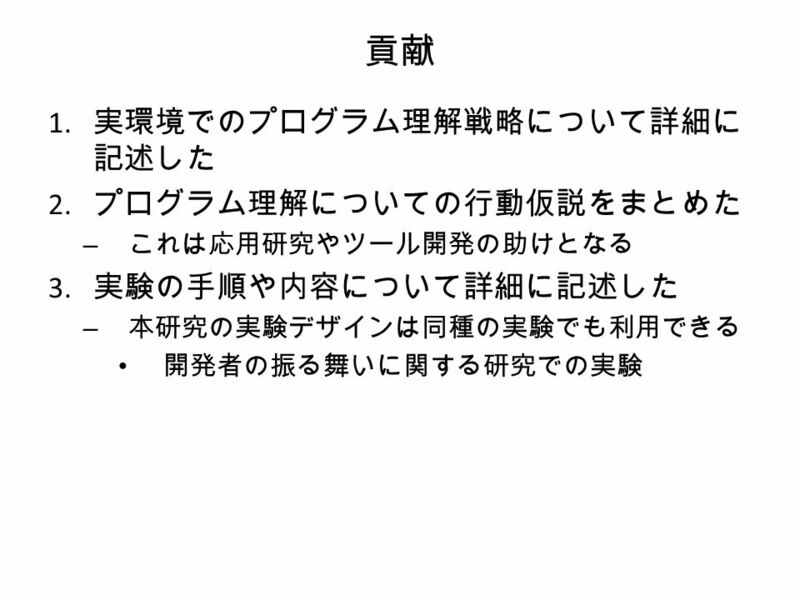 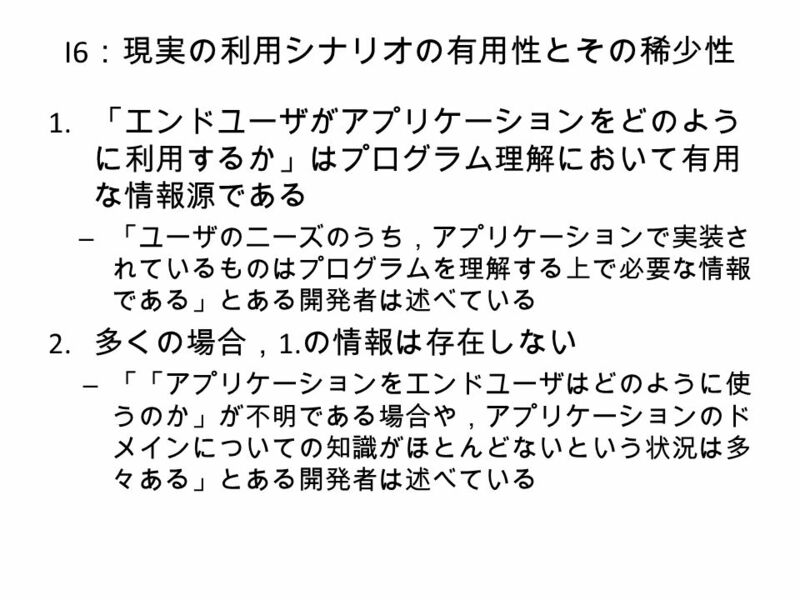 Software Engineering Laboratory, Department of Computer Science, Graduate School of Information Science and Technology, Osaka University 保守支援を目的とした コードクローン情報検索ツール.